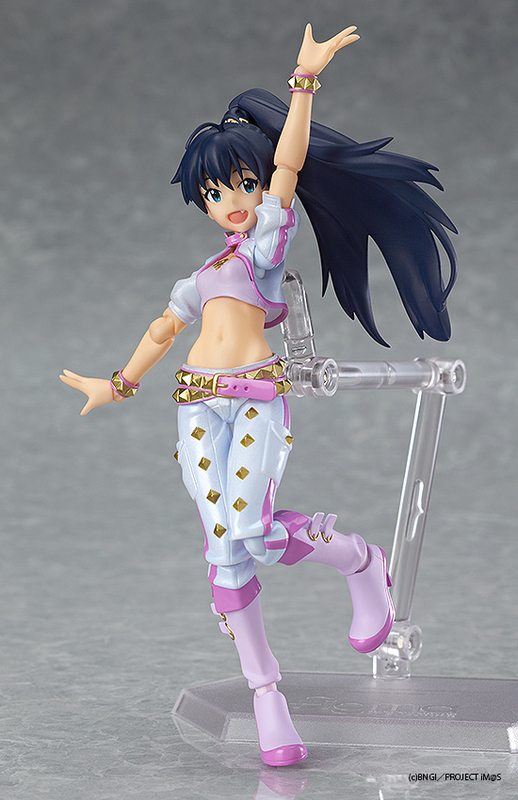 From the anime 'The IDOLM@STER' comes a figma of Hibiki Ganaha! The second idol to join the figma series in her Million Dreams costume! · She comes with three expressions including a cheerful smile, a friendly winking expression and a shouting expression! · Optional parts include a microphone, speaker, lighting equipment and a special di:stage base unit. · Hibiki's close friend and partner 'Hamuzou' the hamster is also included.